The famous Pan & Mermelada is located on the Golden Mile in Marbella. Pan & Mermelada has recently been refurbished and now boasts a decor inspired from butterflies. A great way to start your day and get you in a positive vibe! 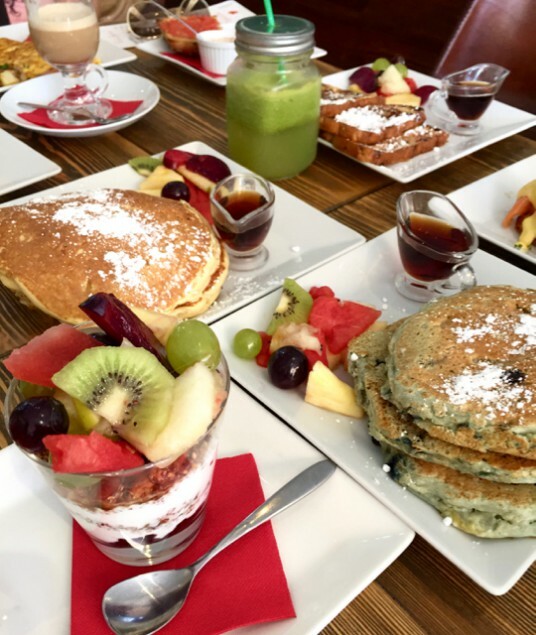 This restaurant is the locals' choice for American-themed breakfast, lunch, coffee, and cakes. i-Marbella tried Pan & Mermelada's buttermilk pancakes with blueberries and bananas, which were truly amazing! i-Marbela also highly recommends egg dishes. Start the day right with a big breakfast! The L'espress sandwich, crispy bacon or sausage, fried egg, and cheese served in an English muffin, bagel, or croissant, served with home fries. Add a Fresh bowl of seasonal fruit on top! Breakfast is served until 1pm weekdays and 2pm weekends. 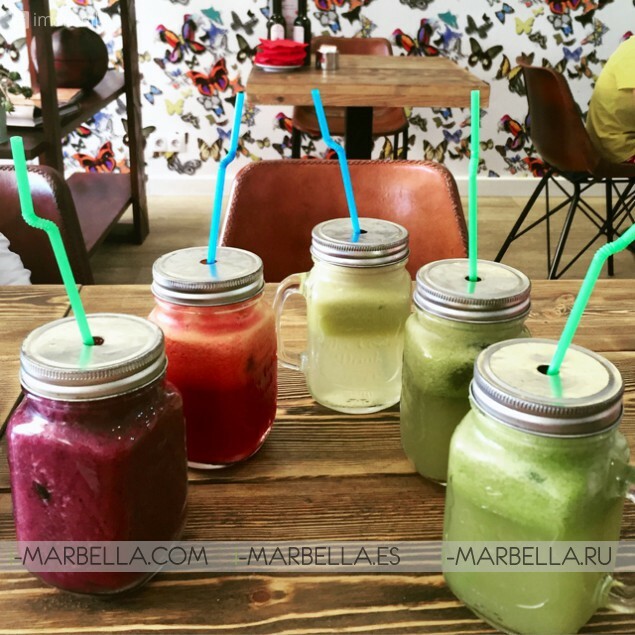 Pan & Mermelada also offers you a wide selection of smoothies and freshly pressed juices -- a fantastic refreshment and energy source any time! Open daily from 8.30am for American themed breakfast, lunch, coffee, and cakes. Open for bistro dinner from 7pm from July 1.